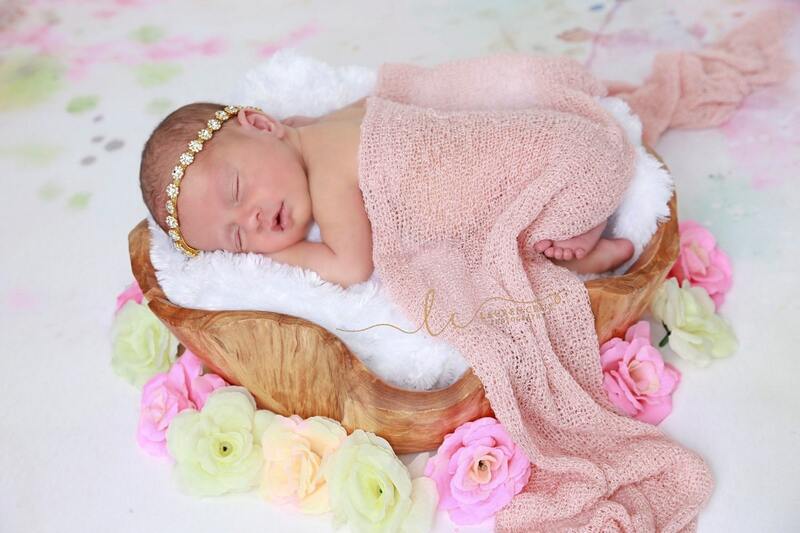 Gold Rhinestone Tieback or Headband AND/OR Blush Stretch Knit Wrap by Lil Miss Sweet Pea. Metal band with rhinestones on ribbon tie back or skinny elastic. Choose from the menu for sizing and style. Elastic is 1/8 skinny elastic. Headband ONLY, whether tieback or as a headband - this listing is for newborn headband, 13" with elastic, or tie back is adjustable. This set is a must have for newborn photographers. These breathable knit wraps are so soft and luxurious! Wraps measure a generous 12 x 55 laying flat and up to 39 x 72 when stretched!